How many of us have had the joy of being told that science project, you know…the one with the flour plaster volcanoes…is actually due tomorrow? Yes, your child knew when it was due three weeks ago and even mentioned it once to you in passing, but did you really imagine that you would be reminded about it at 8:00 p.m. the night before it had to be done? I know you weren’t expecting it because my wife and I were never expecting the same sort of surprises when we became victims of our son’s procrastination. If our kids could articulate what their behavior has already told us they would say “But I can’t do it now, not when there are so many other things that I could be doing that would be so much more fun.” And that’s a big part of the problem. Kids are often distracted by opportunities to engage in more immediately rewarding activities than doing schoolwork or cleaning their rooms. Our task as parents becomes teaching them a strategy that allows them to do both. Award winning children’s author Julia Cook addresses this very issue in her latest book The PROcrastinator, which is published by the Boys Town Press. The lead character Norman David Edward, better known as Noodle, finds it so hard to feed his cat, take out the trash, and (especially) get his homework done when there are a lot better things to do instead. So Noodle puts them off until he is hopelessly behind on homework and has a very hungry, angry cat. Noodle’s mom says he has become so good at procrastinating that now she considers him a pro at it. 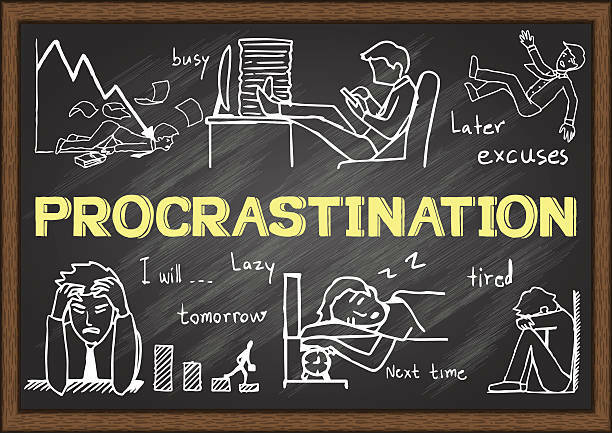 A PROcrastinator. In the end, Noodle’s mom teaches him a strategy to manage his days and all of his responsibilities, all while still having plenty of time to play new video games with his friends. The trick is in figuring out what can be accomplished in under two minutes and getting those things done before anything else. Noodle also learns how to break bigger tasks into smaller parts that are easier to get done as well. This is a great strategy that all parents can use with their children who may be inclined to put things off until the last minute. Of course, one of the most important things we parents can do is recognize when our kids are taking care of their responsibilities right away and really praise them for their efforts. This is especially true when we see them making steady progress on long-term goals such as working on a school project, studying for an upcoming test, etc. Parents can even set up rewards to be earned for their kids’ consistency in completing household responsibilities without being asked repeatedly. Jeff Tierney, M.Ed. has worked with children and families for over 35 years. He has been at Boys Town in Nebraska for the past 28 years working in the staff training and evaluation areas and, most recently, as Director of the Boys Town Press. Jeff is the author of Teaching Social Skills to Youth, Basic Social Skills for Youth, and articles in professional journals on reducing aggressive behavior in children and teens.